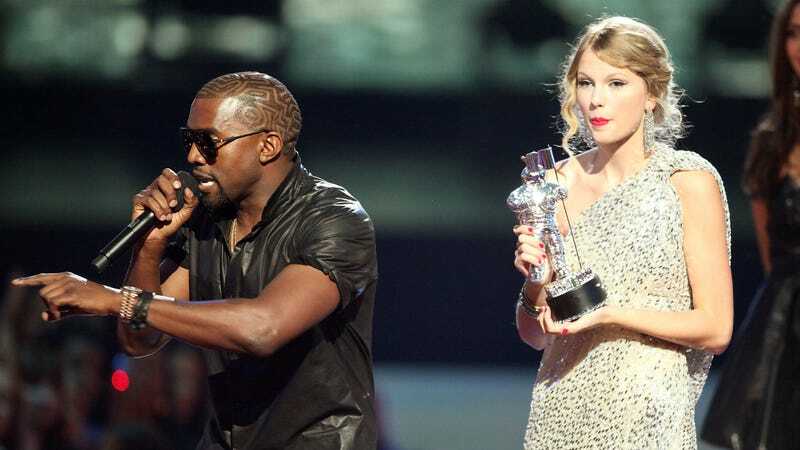 Even though Taylor Swift appears to have spent the better part of the last 18 months dwelling on her feud with Kanye West and Kim Kardashian, TMZ reports she’s been wasting her time, as all other involved parties have since moved on. A source claims Swift, who dumps all over West in her new song “Look What You Made Me Do,” “isn’t even on his radar,” and that Kardashian was under the impression that their feud—if you can even call it that—ended last summer. In related news, Reputation is on track to be streamed several trillion times the week it’s released. At Sunday night’s VMAs, Mel B walked the red carpet in a statement piece. I mean that literally, as her dress contained an actual statement—written words. “YOU WILL NEVER OWN ME,” the dress spelled out in sequins, leading many to believe it was a message directed at her estranged husband Stephen Belafonte. The two are currently involved in a nasty legal fight that also includes their former nanny, Lorraine Gilles, whom Mel B alleged had an affair with Belafonte that resulted in a pregnancy and, later, an abortion. An odd way to communicate with your ex, but hey, celebrities are super weird. The ballad of Drake and Josh has a happy ending, as Us Weekly reports they officially ended their feud at the VMAs with a nice, big bear hug.